Chartwells K12, one of the nation’s leading school foodservice partners, has recognized the school meal program at Sheridan School District as one of the top performing teams in the country with a Platinum Award for 2017. Among the top three percent of districts in the South Central region, Sheridan School District’s chefs have elevated their menus and recipes to serve a variety of meals both students and staff enjoy every day. This has led to increased participation in the program – one of the largest in the region. Known for playing an active role in the community and bringing innovative programs to Sheridan School District, the team hosts monthly nutrition education events and tastings. From chef cooking demos during lunch to Farm to School events, students have the opportunity to learn about and taste new foods. A recent series of Farm to School events featured local Laughing Stock Farms’ eggplant, cherry tomatoes, spring mix and baby ginger. With Chartwells K12 as a partner, Sheridan School District is able to provide students with more than just a delicious and nutritious lunch; Sheridan schools deliver the education and motivation students need to live a healthy lifestyle in the cafeteria and beyond. Beyond serving great food and leading nutrition education efforts, the district’s dining services team has exceeded its safety targets and continues to rate high in these audits. Chartwells provides meals to dining services for school districts, ranging from large public institutions to small charter and private schools, and prides itself on creating customized programs to match the requests of the students, parents and faculty. Chartwells is a culinary-focused organization with a mission to extend its passion, dedication, knowledge and enthusiasm into serving each student delicious and nutritious meals. The company is built on decades of food and education experience and driven by top culinary, nutrition, wellness and sustainability talent. For more information, visit http://www.ChartwellsK12.com/. Sheridan School District receives Platinum Award from Chartwells K12 for outstanding foodservice program that brings updated menus and innovative nutrition education to students. 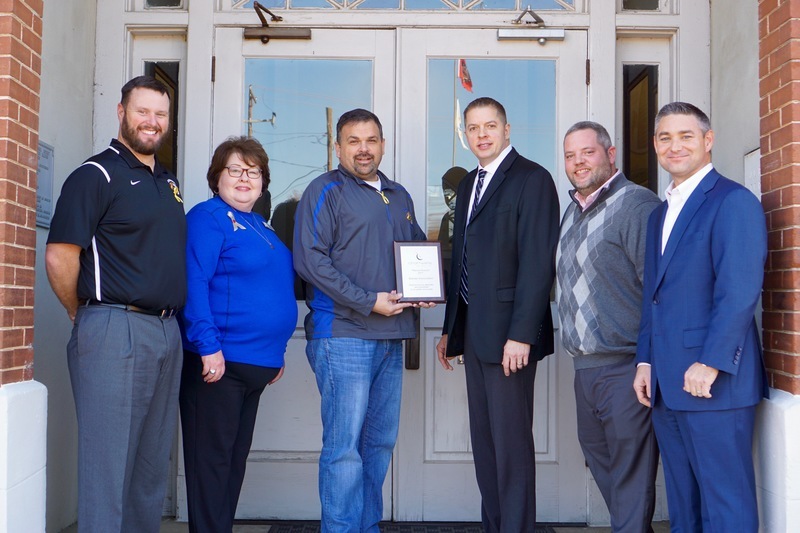 (L-R) Sheridan School District: Lincoln Daniels, Deputy Superintendent; Rita Guess, CFO; Jerrod Williams, Superintendent; Chartwells K12: James Paladenic, Regional Vice President; Jason King, Regional Manager; Jason Godwin; Director of Dining Services.